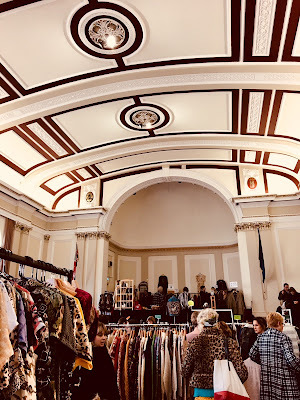 Judy's affordable vintage fair came to Leamington Spa the weekend, which is just twenty minutes driving distance from my hometown. This is the first time a vintage clothing pop up has been so close, so I was really eager to go. 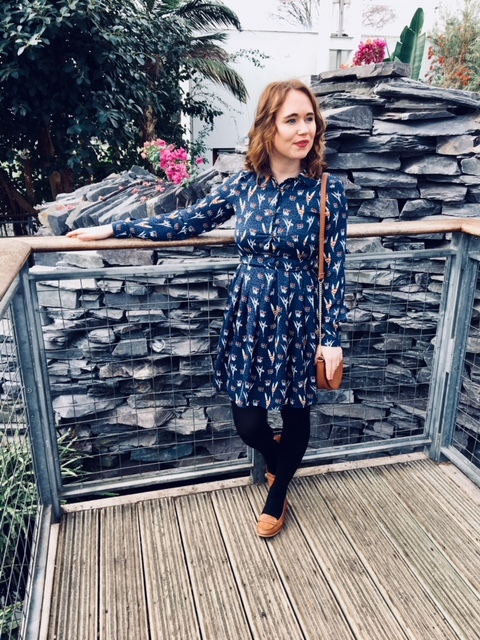 I've always had a love for vintage dressing, as soon as I see those cute collars, faux fur and pleated dresses I feel as though I've stepped back in time and the best thing is you're always going to look unique! This particular vintage event was £2 entry fee and each vintage item was sold by individual sellers so prices did vary. 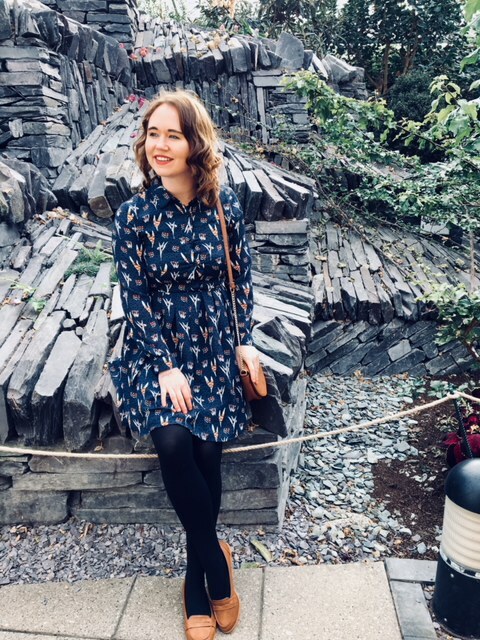 There was a huge selection of lovely women's and men's clothing and I loved seeing lots of vintage dresses, denim jackets, blouses, shirts, etc. Unfortunately I didn't pick up anything this time as most items I liked weren't in my size (petite is usually hard to find) and the gorgeous faux fur coats I saw I didn't really need as spring is on its way! But the great thing is I can try vintage shopping again! 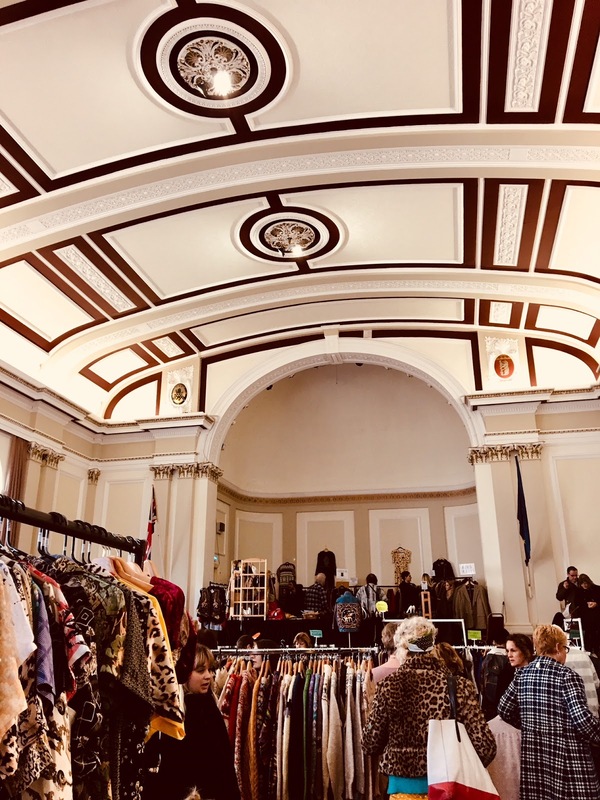 Judys affordable vintage fair also holds the Vintage Clothing Kilo Sale at various venues across the UK and they are coming to Leamington in March for the first time. 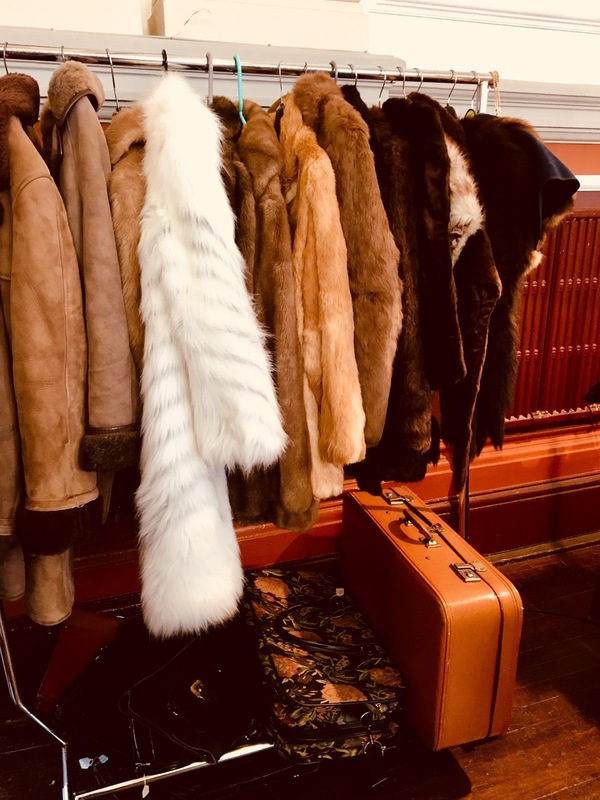 This vintage event is slightly different because although you pay an entrance fee, you buy your vintage clothing by weight at £15 per kilo. Imagine the bargains I could pick up! 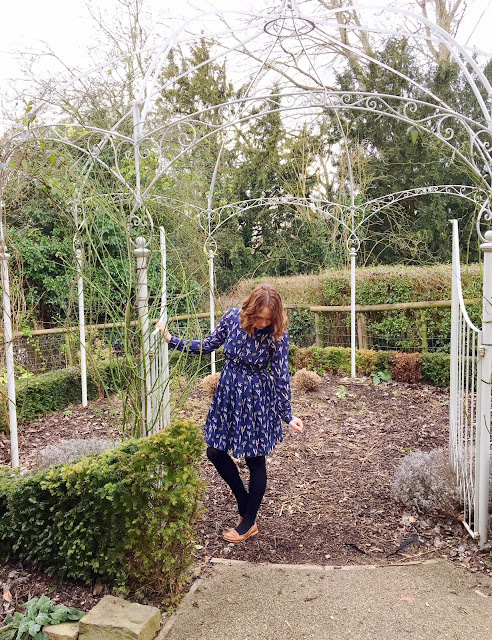 To attend the vintage fair, I felt I had to dress the part so I threw on a navy blue long sleeved patterned dress from brand Tenki at Debenhams (£15) which has the cutest collar design and pleated style bottom. The floral print all over makes it such a transitional piece for winter to spring. 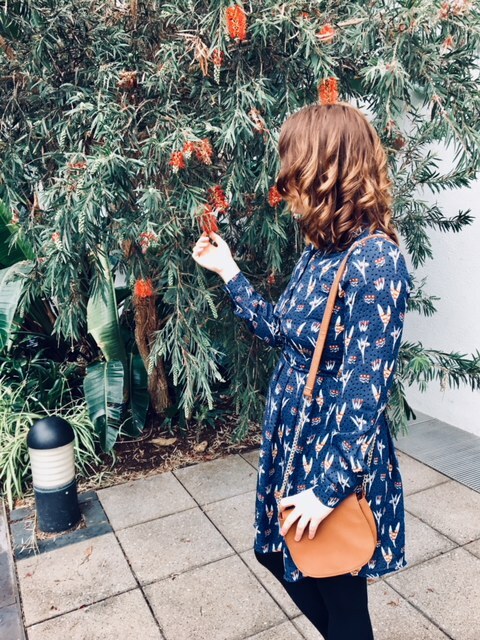 I styled the vintage inspired dress with camel loafers and bag, which really does accentuate the colours in the dress. 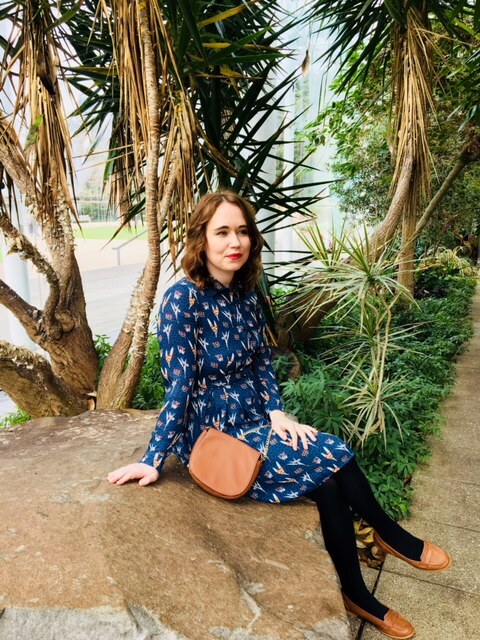 Being that I was in beautiful Leamington Spa, I had to take advantage of my surroundings and snap a couple of pictures of my dress inside Jephson gardens and The Glasshouse. 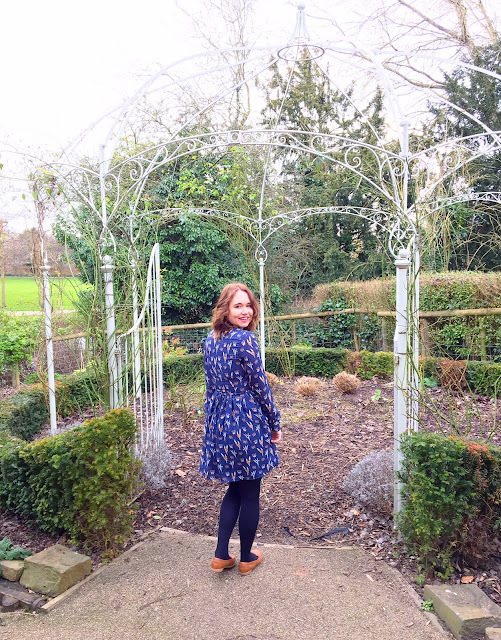 If you're ever visiting Leamington Spa for the weekend this place should be on your list, it's a lovely place to take a spring/summer walk and soak up the tranquil surroundings. Are you a fan of vintage clothing? 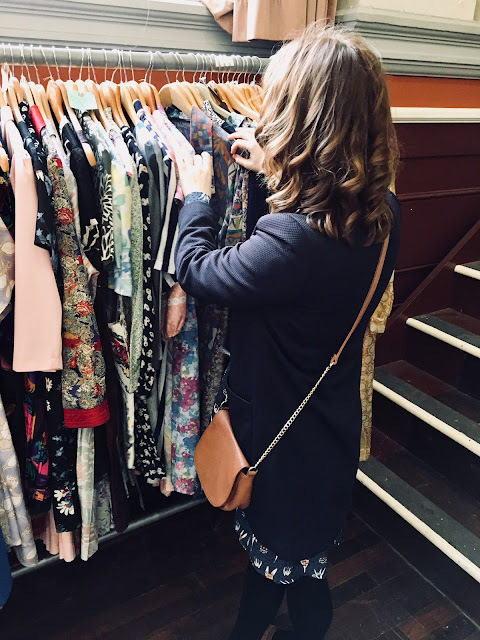 Have you ever been to a vintage fair before? 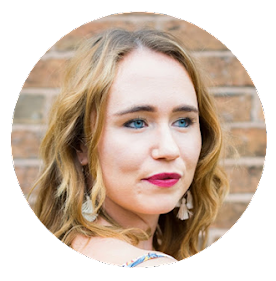 What Are Fashion Labels Doing To Make A Change?